Condor Kryptek Tactical Cap - Hat | BUDK.com - Knives & Swords At The Lowest Prices! 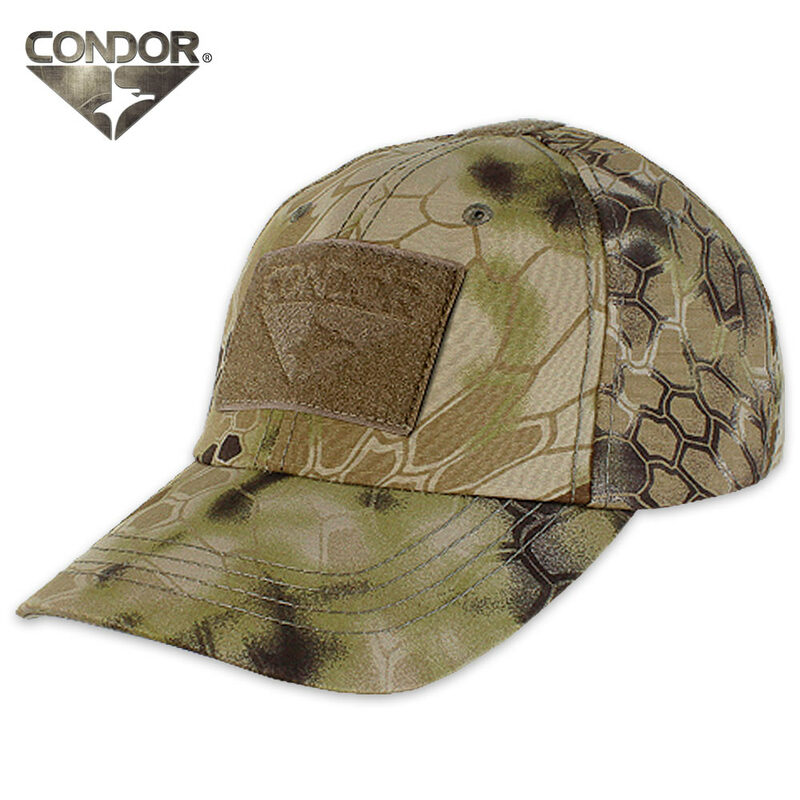 The Kryptek Tactical Cap from Condor is a great addition to your tactical gear because it is tough and durable so that it will last though any mission. It is durable because it is constructed of 100% cotton. It features 3 velcro panels for patches on top, front, and back. It also has an adjustable strap with buckle on the back and one size fits most. It comes in a choice of olive drab, black, tan, navy and brown.